Pre Theater / Bar "Aviateur"
Awesomely beautiful. Service was the best. 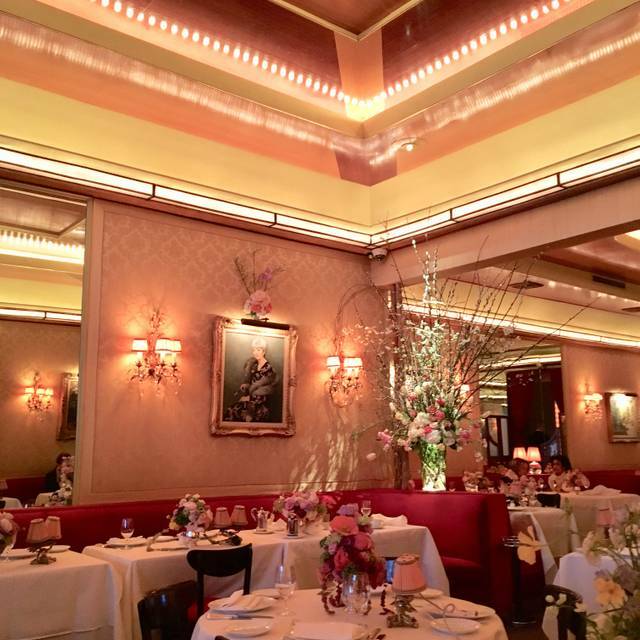 Eat once or twice a year at La Grenouille. The service and food is always outstanding. The Maitre D was fantastic. He really keeps the restaurant to its great quality. The staff was great with our 2 young children. 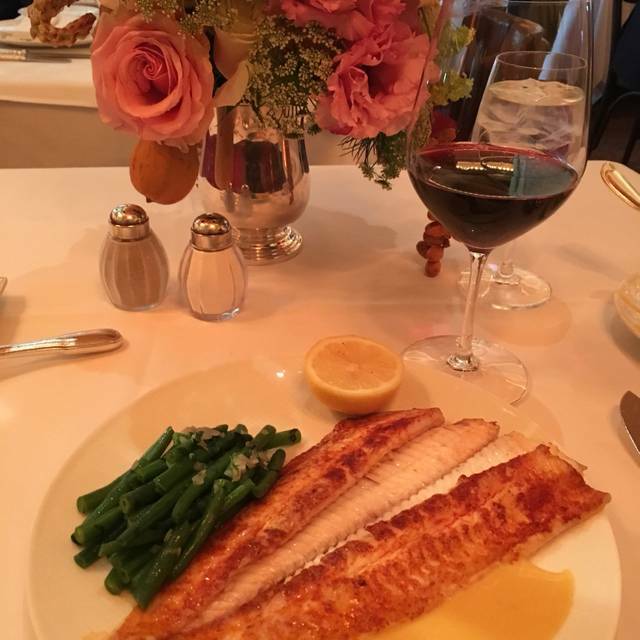 We loved La Grenouille- with its fascinating history, exquisite floral arrangements, impeccable service (so gracious - even when my 15-year old dropped his Shirley Temple!) and delicious food. 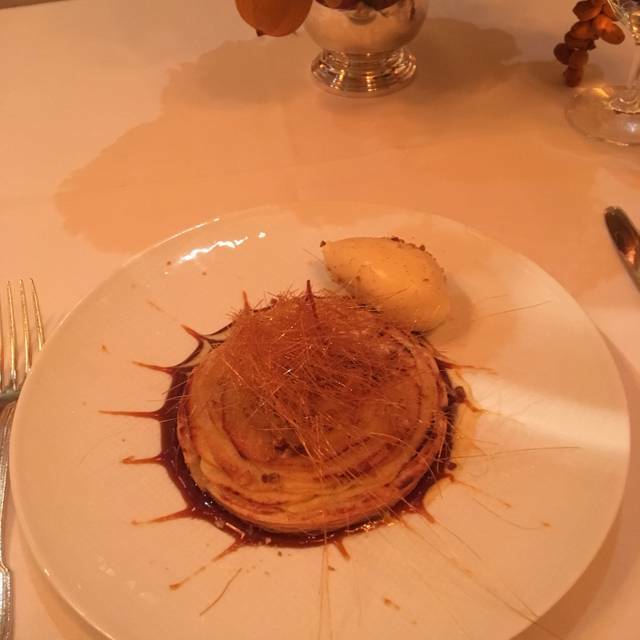 As a "special occasion" dinner for our family and this restaurant lived up its reputation, giving us a truly memorable evening! Wonderfully attentive service, stunning flowers, most delicious meal. Absolutely perfect. Celebrated my birthday with hubby over dinner. Very welcoming, classy takes away from the romance & glamour when that’s the first thing you see. Looking forward to the next celebration though! A little in the pricey side, but absolutely worth it. Staff was extremely attentive to our service and the maître d'hôtel was spot on with his meal and wine suggestions for my date and I. As always, great service, food and ambience. Accommodates gluten intolerance. Spectacular as always. Service was impeccable, food outstanding all in a beautiful environment. Never fails for that special day. 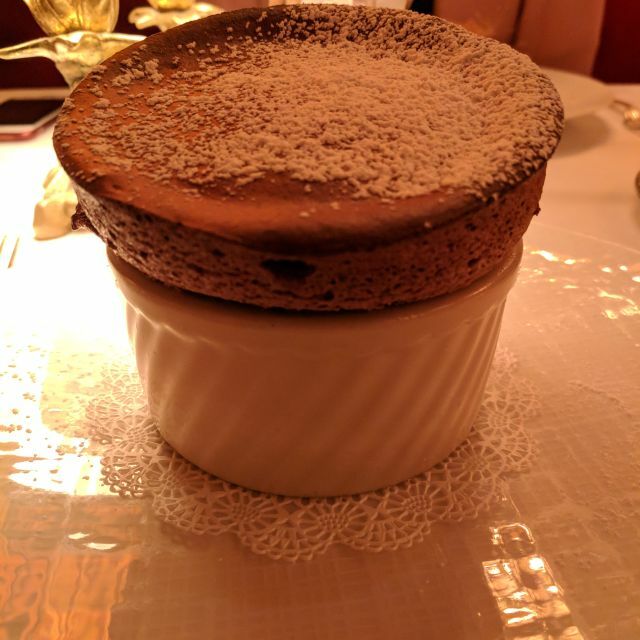 Have been going to La Grenouille once a year, when in town, since 2004. Food, service and surroundings are consistently wonderful. It has been one of the bright spots in my thoughts of NYC. The same faces and menus are there to greet you year after year. The flowers are an exhilaration for the senses. Wonderful. The best restaurant in Manhattan! Absolutely fabulous!!! The staff was exceptional and extremely friendly! The best! One of the great classic French restaurants. 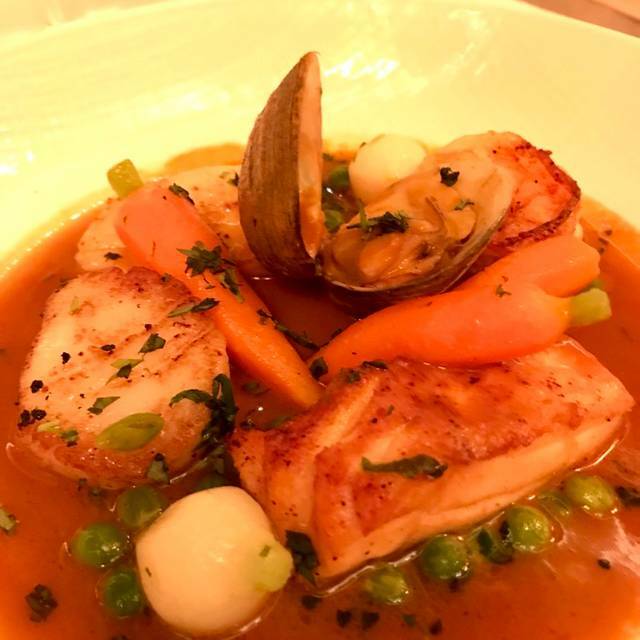 Marvelous food and exceptional service. And the flowers!! pre theater a la carte menu. We have dinner here every visit to New York. The food is delicious and the service impeccable. The decor is over the top beautiful. From the entry greeting until departure, La Grenouille envelopes a diner in the most professional and charming fashion. My only regret is not being there more often. 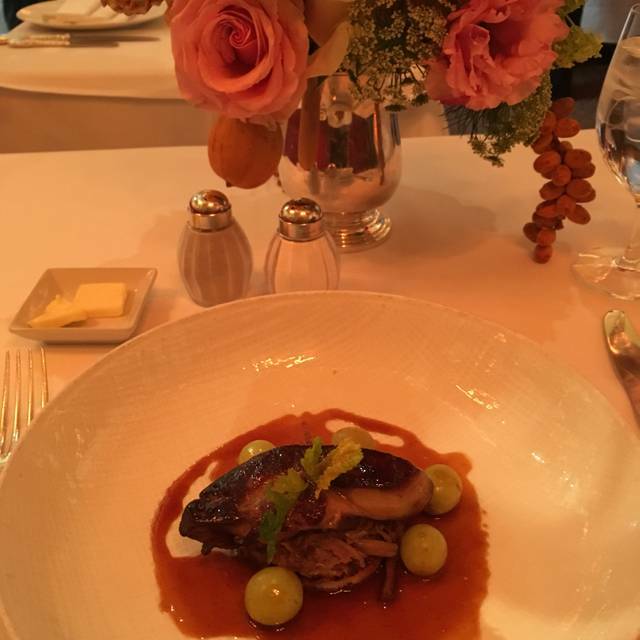 We never miss La Grenouille when in NYC. Where else could on find quenelles de brochet and souffle au Grand Marnier? Everything about this “signature” place in the World is sublime.... every detail in atmosphere, cuisine, service, hospitality is perfection... It is a privilege to dine here. Food was mediocre. Waiters were rude beyond reason. I ordered the sole. Asked for a knife. The waiter made a big deal of coming over to point out that I had a fish knife... yes, I knew that -- I wanted to cut my green beans, which the fish knife would not cut. (as if it were any of the waiter's business) Dessert was delicious. Great celebration for my mom's special birthday! Flowers were beautiful, very attentive staff, and ofcourse the food was delicious! High marks for this iconic restaurant. 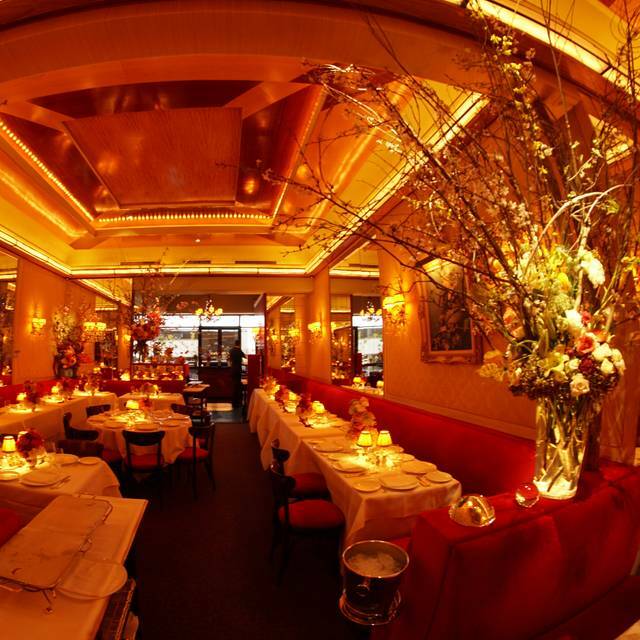 It is always a pleasure to return to this restaurant, a must during our frequent visits to New York. The Captain, Belarminio is a gentleman and he is always looking for ways to please us. It costs the earth but is so over the top marvelous, from the extraordinary flowers to the superb food, it was worth everything. Once in a lifetime might not be enough. Outstanding food, service and decor. The restaurant is beautiful, with flowers everywhere. It should be on the top of the list for locals and visitors alike. Very high end restaurant. The atmosphere and service were really good. But I don't quite appreciate the food. It was very nice to smell the flowers that were behind me during dinner. I would like a most sophisticated selections of cocktails. Also, more freedom in the menu selection. Nothing like it in NYC. Stands above all that we have seen. This has always been my go to restaurant for a special occasion, but based on this experience not at the top of its game. It is still old world and elegant with the atmosphere and service still top notch. However ,the food was inconsistent on this visit. In addition, the corkage fee has been raised to an outrageous $150 per bottle. The bottom line is it is still a special place but not what it was and definitely way overpriced. Celebrated our 40th anniversary. 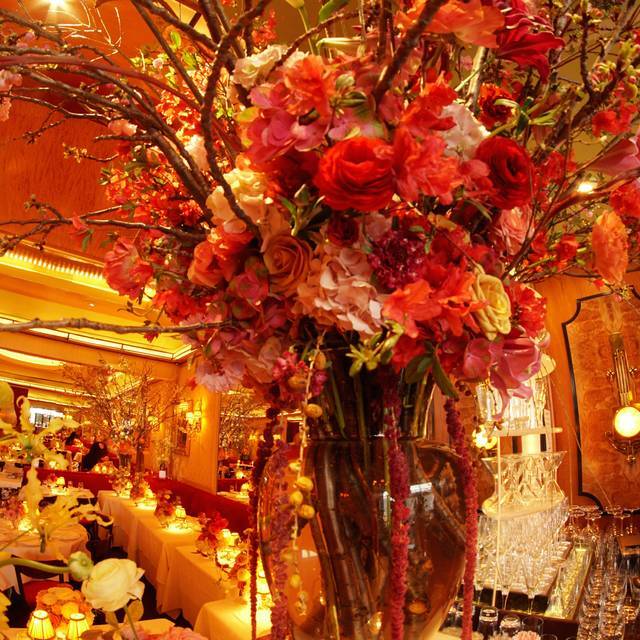 The moment we entered the restaurant the smell the fresh flowers permeated the air. The flowers were beautiful and displayed throughout the entire restaurant. The service was impeccable! I had the lobster medallions and my husband had the filet. Both were perfect! The apple tartlet and the chocolate were delicious. Outstanding performance in ALL !! 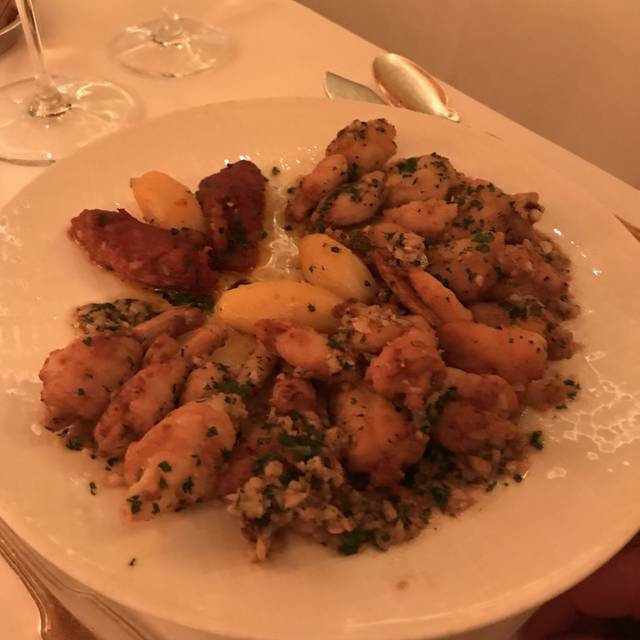 When you make the right choice to go to La Grenouille, you know that you will have an experience that you will we never forget!! We love Jean Pierre!! Everyone there, is a class act, exceptionally loving, kind and they give you the best experience that you could ever wish for. This is a landmark of a restaurant and we highly recommend it!! Incredible staff and amazing atmosphere. I will definitely go back every time I go to NYC. The overall experience was excellent and it's such a beautiful restaurant with all of the lovely flowers! Definitely will be back again!